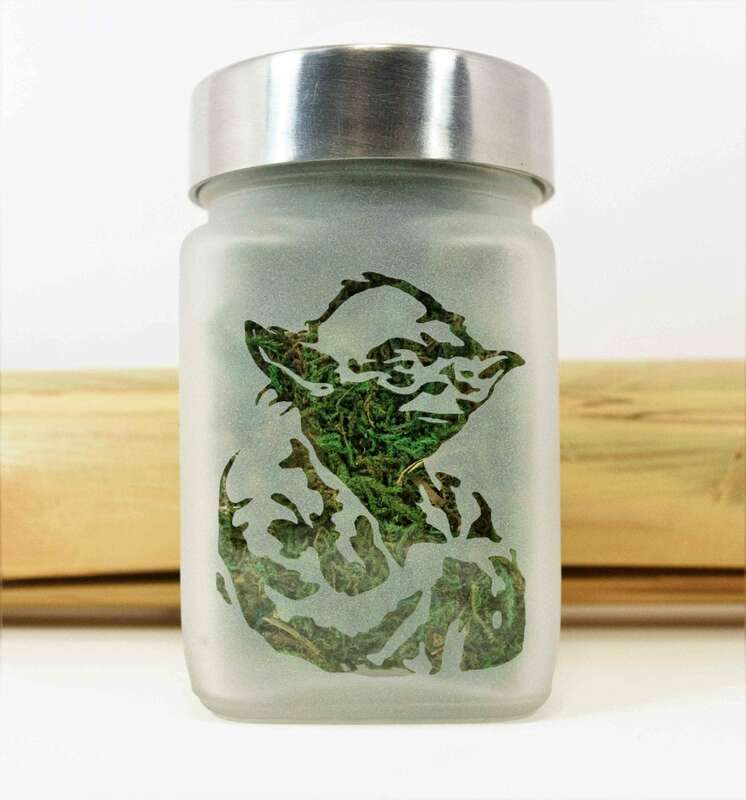 Yoda Stash Jar - Jedi Master - Star Wars Cannabis Edibles Storage - Perfect 420 Weed Gift your favorite stoner or cannabis lover. 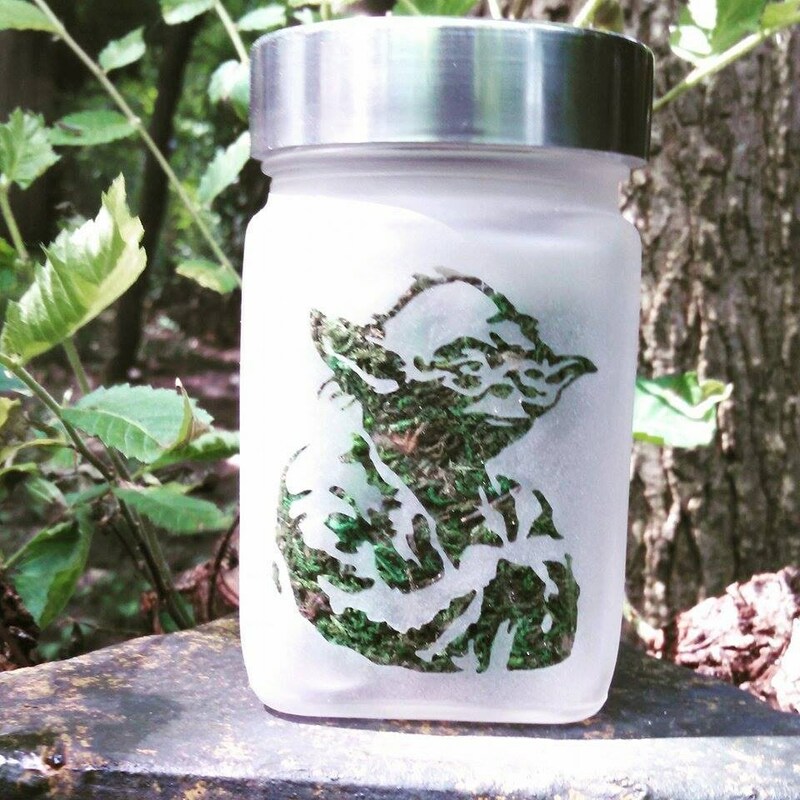 Etched glass personal stash jar inspired by Yoda & Star Wars. 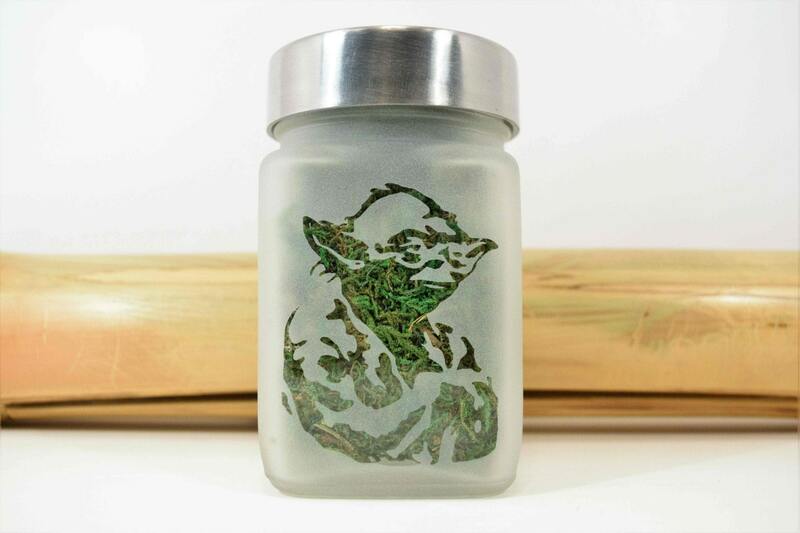 Yoda stash jars size roughly 2"w x 3.5"T.
Keep your herb fresh. 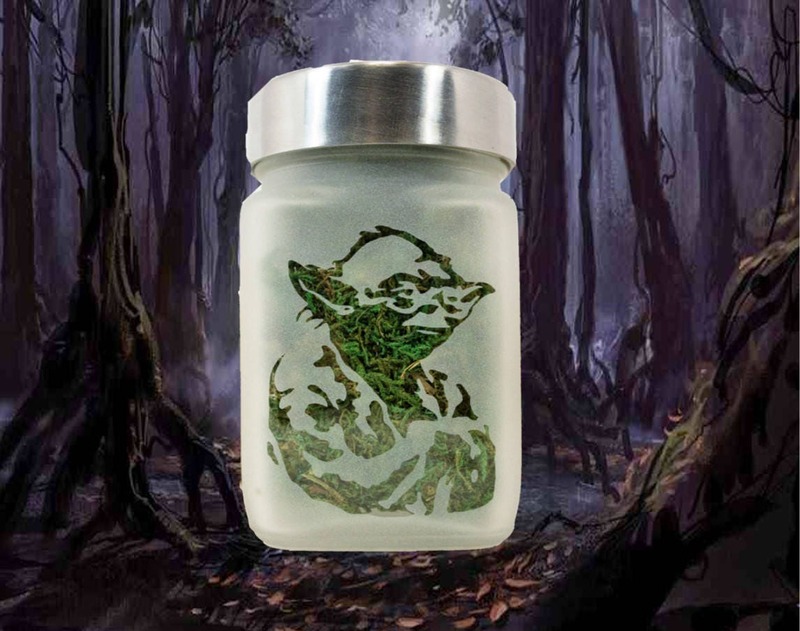 Food grade Yoda stash jar, brushed aluminum screw on lid. Note: The Yoda image in photo has a green back drop. When it arrives to you the Star Wars inspired logo will be clear glass. Other sides are solid etched. As a reminder, these are stash jars. If you are in a legal state, stash your weed in your stash jars. Medical Marijuana patient, stash your cannabis medicine in your weed stash jars. Non-Legal state, stash your herbs, money, tobacco, pennies, buttons, anything and everything you can imagine in your stash jars. 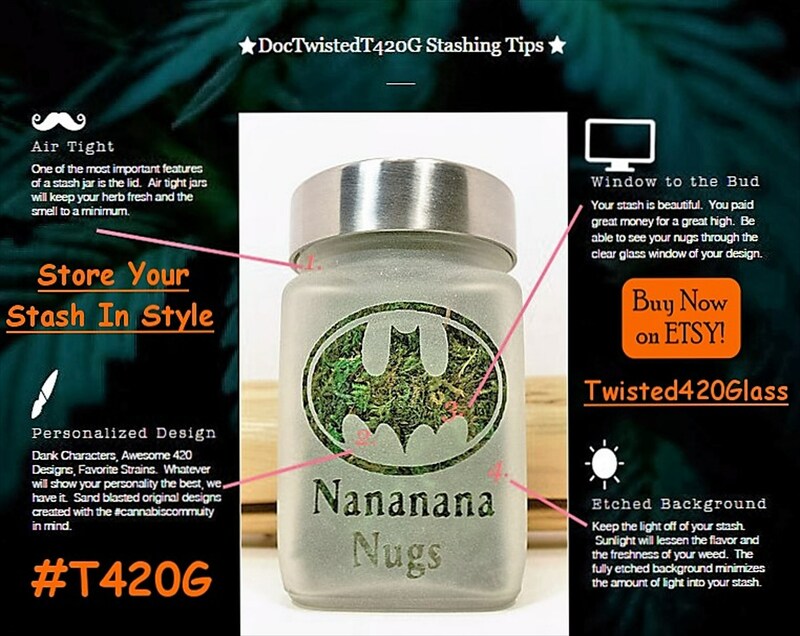 Our stash jars are made of food grade glass with an air tight seal. Awesome product. I ordered one item as a gift and as soon as I opened it ordered another for someone else. I’ll definitely be buying one for myself soon! Super fast shipping and great packaging. Exactly as described and shipping was quick! I also appreciated the extra bubble wrap and shipping care as this was a glass item. Great Seller, thanks so much! Super fast delivery! Item is exactly as it is described. Bought as a gift and the recipient said it was perfect!